Qualcomm has announced two new processors, one in the Snapdragon 200 series and other in the Snapdragon 400 series. 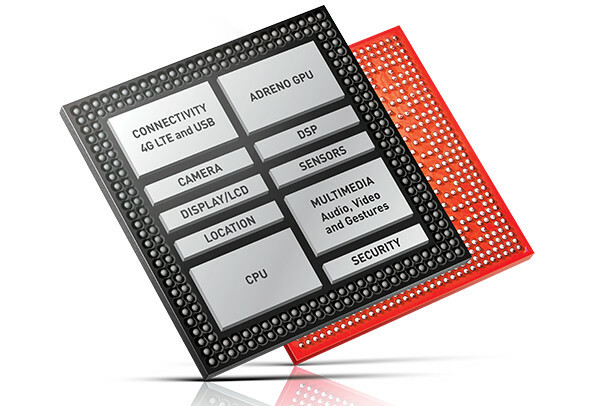 The new Snapdragon 212 SoC, the company’s latest quad-core processor has multi-mode 3G/4G LTE Advanced and LTE Dual SIM aimed at entry-level smartphones and tablets. It uses the same ARM Cortex A7 CPU seen on the Snapdragon 210, but the clock speed has been increased from 1.1 GHz to 1.3 GHz per core. The Snapdragon 412 quad-core processor uses 64-bit Cortex A53 CPUs similar to the Snapdragon 410, but the clock speed has been increased from 1.2 GHz to 1.4 GHz per core and the memory bandwidth has been increased from 533 MHz to 600 MHz. Qualcomm is yet to reveal details about the availability of these processors for OEMs.